Interacting on social media is not enough for retailers to get customers. Last year the ChinaAccelerator supported Shopal, a digital tool helping retails to trace and follow customers beyond superficial social media contacts. 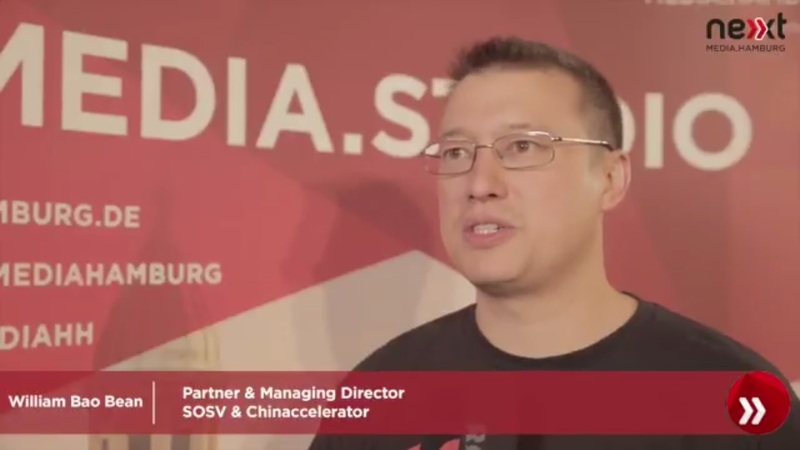 Managing director William Bao Bean of the ChinaAccelerator explains why Shopal works. A shift from brands to retailers. The inception of Shopal started when Lu Guo, the founder, noticed the retailers’ quandary when she was in the retail industry – digital innovation director for VF Corporation, the world’s largest apparel company, and more recently VP of Digital and Ecommerce at Johnson & Johnson: Customers visit their stores and leave. Retailers don’t know who their customers are and where to track them down. Retail stores with the best sales, Lu found, are those where in-store staff interact and engage with customers when they are in the stores, obtain their personal information like mobile phone numbers and WeChat accounts, note down what they bought and are interested in, and message them with personalized recommendations on new products along the way. While online merchants are leveraging social media, physical retailers don’t have those digital tools. Thus came Shopal’s first product – an app that enables retailers and in-store staff to build a close personal connection over social media with their customers. Lu also observed that in-store staff have a notoriously high turn-over rate. They write down customers’ information on paper, but when they resign, the valuable piece of paper also walks out of the store with them. In response, Shopal created a simple platform where store staff can record customers’ preferences, purchases, store visits and actual sources of traffic into the store. Finally, based on analytics of customer information, Shopal enables retailers to recommend the most appropriate new products to customers on a B2C app. In the old days, in-store staff took pictures of products with their phones and sent them to customers, but those pictures often weren’t the best. Shopal not only gives the tools to snap high-quality photos of store products, but also advice on how to write about these products for higher conversion rates. China’s retail industry differs from those around the world in that stores are owned by distributors, while brands run e-commerce. As a result, retail distributors are in competition with their own brands. On e-commerce, brands have the tools for marketing and analytics and are thus seeing a huge amount of venture investment in recent years. Shopal’s goal is to provide the same analytics and personalization tools to retailers, giving them the ability to combat e-commerce. We found Shopal an attractive investment because it gives an effective solution for struggling offline retailers, and it has a team with deep experience in China’s retail. The person who led its eight-digit pre-A round was Peter Cheng, Managing General Partner at Integral. Before Integral, Cheng spent over two years in Tencent’s advertising department and co-founded AdChina, a major independent digital advertising company in China. By June this year, Shopal was working with over 7000 retailers in Beijing and Shanghai, and over 20 international. It is also extending its reach into oversea brands. More at the ChinaAccelerator website. William Bao Bean is a speaker at the China Speakers Bureau. Do you need him at your meeting or conference? Do get in touch or fill in our speakers´request form.